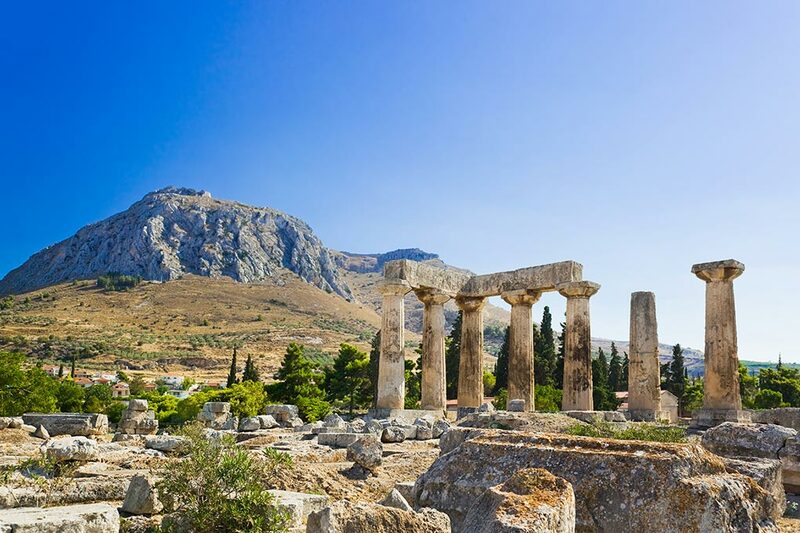 This tour takes you to Ancient Corinth, one of the largest and the most important cities of Greece in the Antiquity. 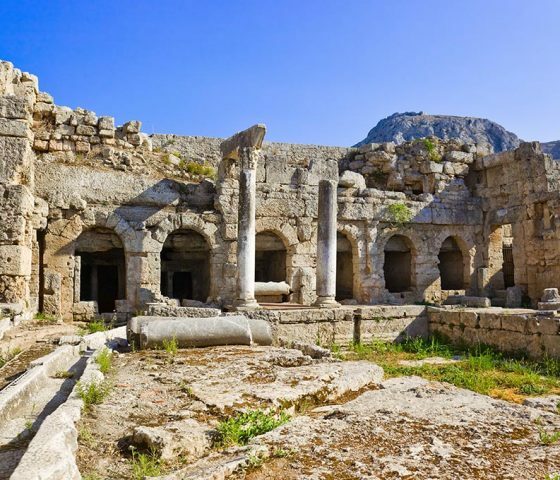 The city that existed on the “gate” to the Peloponnese, on the Isthmus of Corinth, roughly half the way from Athens to Sparta. 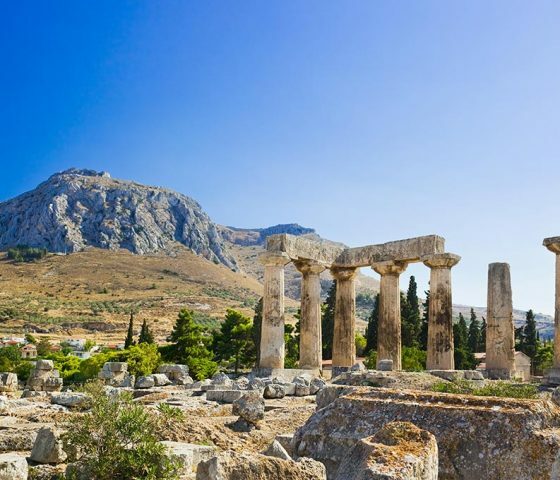 Known to Christians from the two letters of St. Paul in the New Testament , beloved to the art lovers for the production of exquisite pottery, famous worldwide to the travelers as described by the renowned ancient traveler Pausanias, Ancient Corinth remains one of the must–sees while in Greece. Take this tour to travel in time and explore the different sides of this eternal city. Visit the mythical land where Bellerophon heroe and Pegasus lived. Our chauffer will meet you bright and early in the morning at the lobby of your accommodation. Our journey will begin with a relaxing ride. 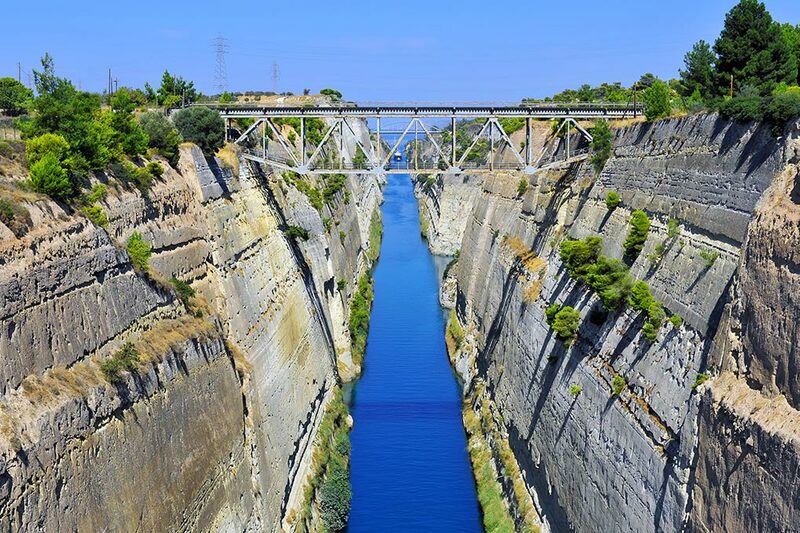 You will be driven west and you will have the chance to enjoy the magnificent Greek coastal scenery. 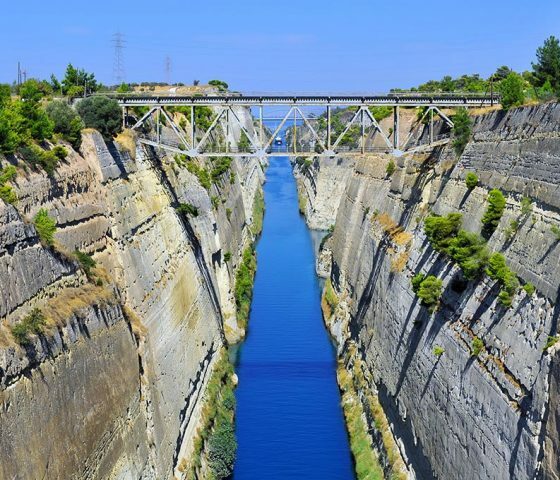 Our first stop is the engineering Marvel Corinth Canal. After our 30minute stop on the Corinth Canal and of course after taking our time to snap some breathtaking pictures and get some rest on the nearby rest area café, your chauffer will drive you through the winding country local roads through olive trees, vineyards and orange trees that grow in abundance in the area. It will feel as if you stepped into the scenery that one sees only in artistic movies and documentaries. 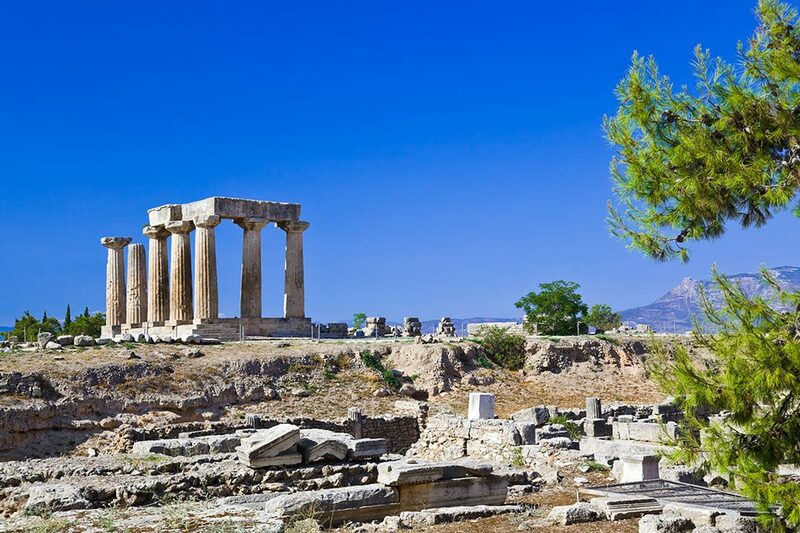 20 minutes later we will arrive at the next stop of our exploration, the city of Ancient Corinth. 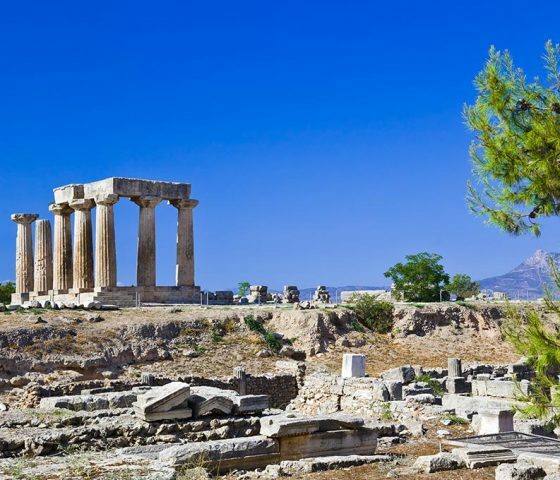 You will admire the doric Temple of Apollo with its monolithic columns that is one of the oldest temples in Greece dating back to the 6th century B.C. 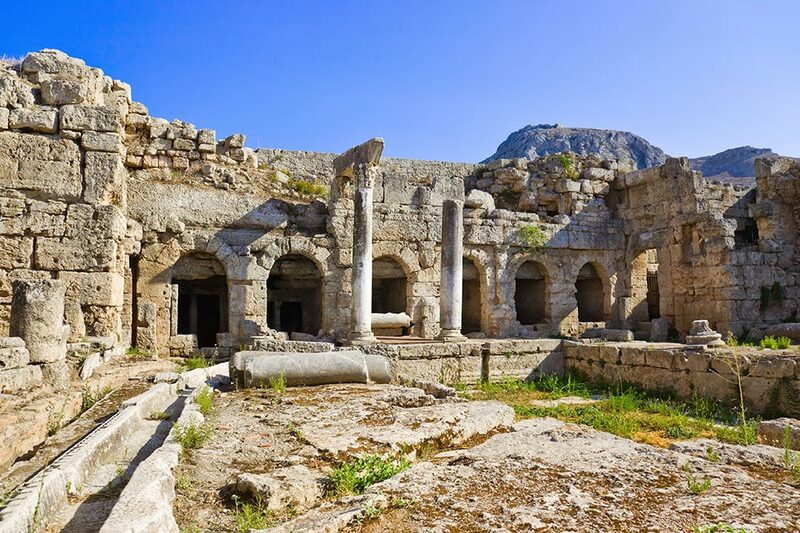 For the Christians, Corinth is also a place of great importance since St. Paul gave his Speech in the center of the Ancient Agora on the renowned Bema.